My favourite pub in Western Australia. 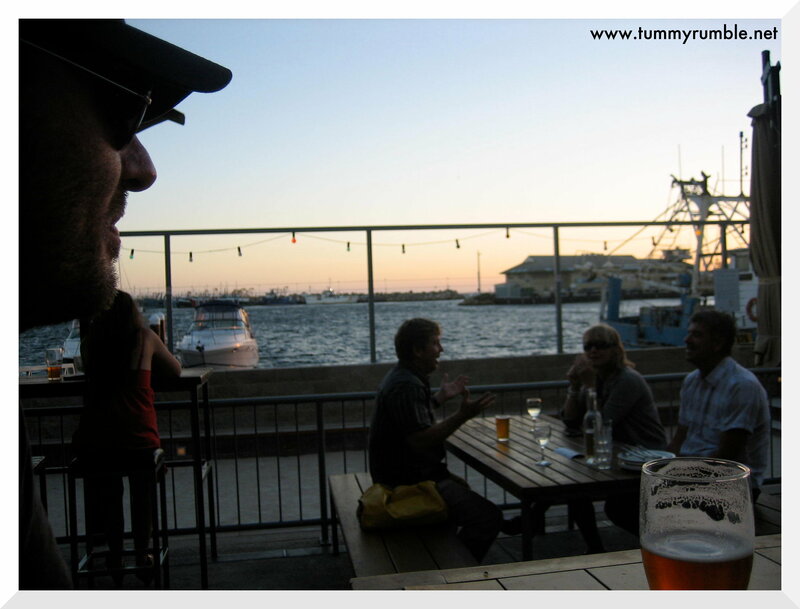 The one place everyone had told us to visit: The Little Creatures Brewery in Fremantle. Unfortunately for you, and me, for some reason I lost all my food photos! Sitting on the harbour, the Brewery is housed in converted ship sheds looking out to the Indian Ocean. Every night we were in Freo we ate here sitting in the delightful beer garden, fully equipped with a bocce green! The menu is fairly basic, dishes to share, nachos, pizza, steak. On the first night I had mussels with chilli and tomato and Da Boyfriend had a margarita pizza. The mussels were tasty with a chunky chilli sugo that I practically sucked out of the bowl…it was just the right heat, enough to get my nose running but not so overpowering that it drowned out the sweetness of the tomato or the fresh, briny goodness of the mussels. This wasn’t quite enough for Da Boyfriend so we ordered something you don’t see too much of on contemporary menus, corn. What was delivered to us was a delight. Chunks of corn cob, grilled with LASHINGS of butter…I even took a photo of the empty dish to show how much butter was left over!!!!! It was just delicious! The following night, I ordered exactly the same. The mussels on this evening, were just as fresh, but the chilli tomato sugo was more the consistency of soup rather than the chunky thick sugo from the previous evening, though the flavour was still superb. Da Boyfriend had the steak, which in his considered opinion, for Western Australian prices, was very ordinary..
To accompany our meals, we knocked back pints of Pale Ale and half pints of Pipsqueak Cider…Ah, perfect after a hard days swimming, sight seeing and enjoying the sights and sounds of Fremantle! you lost your photos? arghh…. sounds like an idyllic combo – Little Creatures and luscoius food. The mussels sound incredible. I love this place!! 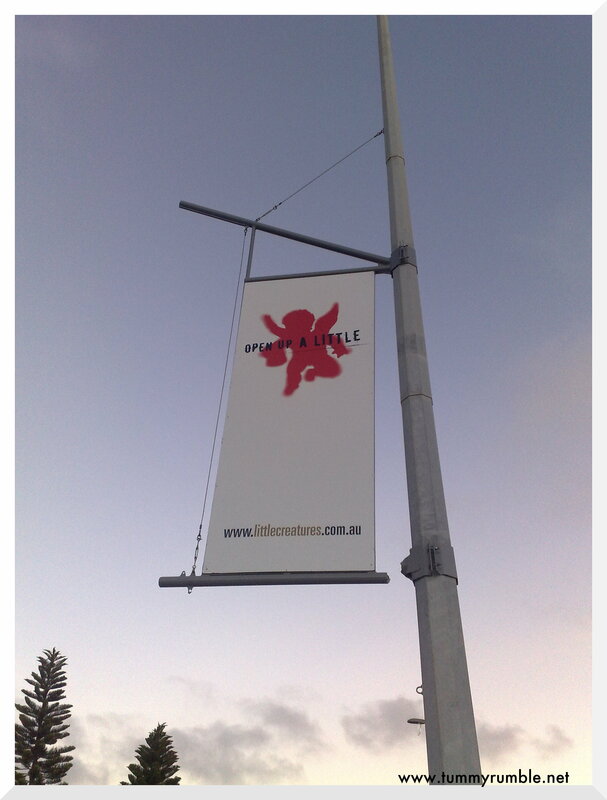 Looking forward to visiting again when I’m in Perth this March. The Pale Ale is my very favourite beer 🙂 Shame about your photos though, it’s enough to make a food blogger weep! Ahh yes. Little Creatures can magically swallow many hours without anyone noticing… wonderful place.